Welcome to Challenge #21, where our theme is to make a creation for a Child with a Child's Name on it! 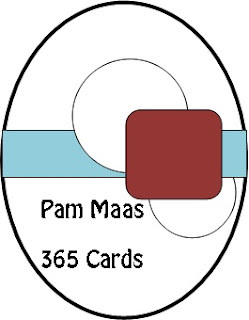 JUST REMEMBER, if you use an image from Pattie's Creations, you will get an extra entry to win! 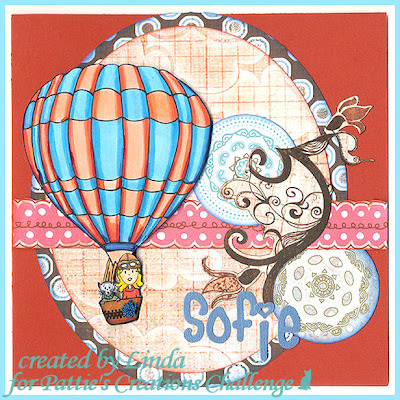 I used 'Hot Air Balloon Ride' as the image for my creation. Colored with copic. PaperPlay Challenges - '11 - Week 18 - Show us your Style - I really don't know what kind of style I've - mayby "Messy". Linda - I love this, it looks like she's traveling around the world! Great coloring and I love all your elements too! How fun I LOVE that balloon!!! DARLING and fantastic creation! LOVE THIS!!!! great mix of papers and the ballon!!!! sooo cool!!!! !